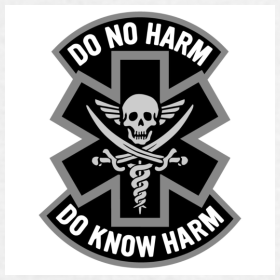 Do no harm as a leader. We have seen many positive components of leadership and spiritual leadership in blogs posted on this L2L blog. But there is more to leadership than just the positive we can do and grow in as leaders. There is also the darker side that needs to be understood and minimized. It is something to NOT do: Harm. Before all efforts at growth and development in leadership, dedicated leaders ought to consider removing any harm they might be inflicting on organizations. We have all met pseudo-leaders and have thought that the best thing they could do for their organization would be to leave it. After witnessing the failures and mess of “leaders” in the last decade, it is more important than ever that good leaders aspire to do no harm. We all know that physicians take an oath to do no harm, and this precedes all their efforts to bring healing to their patients. As we have seen the recent disastrous harm done by people in leadership positions, we can only wish that leaders, too, would take the oath to do no harm. Unfortunately, we have seen so many bad leadership decisions that it has been common to consider that many people in leadership positions in our generation have done more harm than good. Only people with the vision and dedication of spiritual leaders can reverse this trend and stop this decay. Leadership is an attitude of service, and it begins by pledging to do no harm. On a personal level, a spiritual leader must remove from his or her life all negative influences, the slow erosion of values, and the corrupting influence of power that do harm to others. He or she must remove arrogance, deceit, and any harmful trait. A leader avoids hiding in creative ignorance, checks his or her addictions, and makes conscious those areas of personal life that need healing. All these personal defects can harm others. Great leaders have system skills, the ability to see how every person fits into an organization and has an important role to play. They can provide healing relationships with others. So, a spiritual leader never belittles others and their contributions, ends destructive and confrontational positions, as well as neglect of workers, turf wars, coercion of followers, harassment, and using people. He or she makes sure there is no stunting of others’ development and no one is enslaved to any aspect of organizational life. When a leader removes harm from other people’s lives he or she achieves a lot. A spiritual leader will be on the lookout for those controlling influences in organizations, large or small, that do harm whether one wants it or not. Often memories harm when individuals remember how they were badly treated. These unhealed hurts delete a sense of hope among workers. Sometimes a spiritual leader sees harm and cannot respond when it comes from others. However, in such cases a spiritual leader will not participate so as not to encourage such behavior. Doing no harm is a first step for a leader who must remove harm while appreciating potential harm is best dealt with proactively by creating a healthy atmosphere between leaders and workers—listening, maintaining high values, respect, admiration, total acceptance of others with their strengths and weaknesses. Many challenges lie ahead for you as a spiritual leader but quality leadership begins with a serious dedication to do no harm. As we look back over the last few years we do not immediately think of great leadership. Rather, we just wish many of our so-called leaders had not done so much harm. Great post. One challenge is that leaders often don’t know they are doing harm… in fact, in many cases, they think their behaviors are doing good… after all, results are strong… the leadership must be working. The tricky part is awareness. Thank you for the comment. Yours is an important clarification. I think a lonely arrogant individual will suffer from this more than someone who has a mentor or guide or has created an open environment for discussion and mutual evaluation. Great post, thank you. I am definitely sharing this widely. Won’t it be a wonderful world if we can get our leaders to sign an oath such as this? This is certainly in line with Peter Drucker’s ideal of Doing No Harm as it applies to Business Ethics. As a practitioner of Servant Leadership, it is imperative that I, and any servant leader, insure I follow this principle. Thank you for your post. I am refering my Leadership Seeker Group to the article for their own edification. Many thanks for your comment and for the cross reference to Peter Drucker’s work. . When we look at the details and implications of Servant Leadership we can see that it can be the basis for transformation of our entire approach to leadership. Thank you.